Since NBA 2K17 have been released for about 8 months, "NBA 2K18" has ultimately stormed the gaming world in terms of early news. NBA 2K18 is fast approaching and the features from the popular NBA-based game has been growing by the day. Here's most of the noteworthy NBA 2K18 cover athletes ravealed so far. 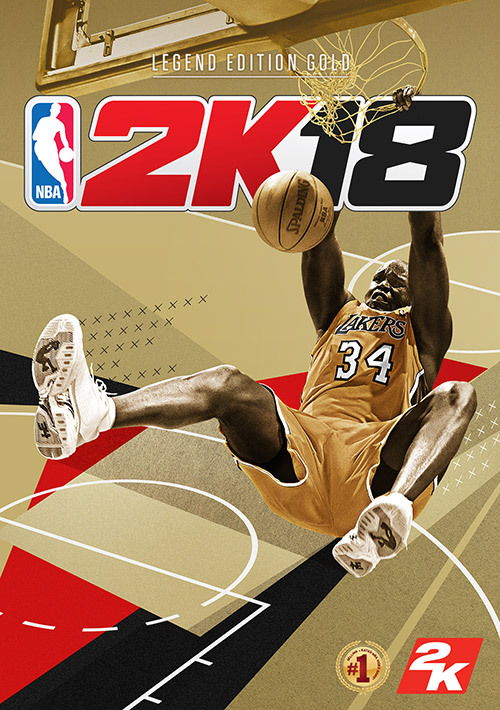 Yesterday, NBA 2K official twitter page revealed that Hall of Famer Shaquille O'Neal will grace the cover of the Legend Edition & Legend Edition Gold of NBA 2K18 while the cover athlete for the standard retail version has not been announced. 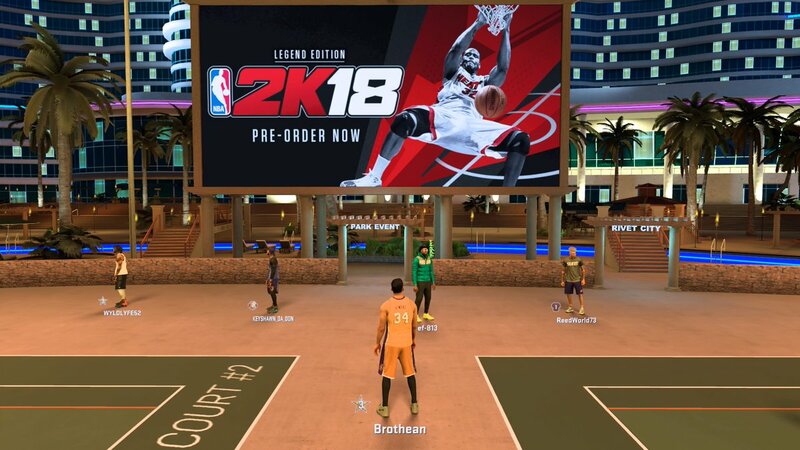 Some players also stated that the new 2K18 Shaq cover announcement can be seen in Mypark now. And the litigant, Shaq released an interesting mock acceptance speech as a promo for NBA 2K18 pre-ordering in his twitter page. 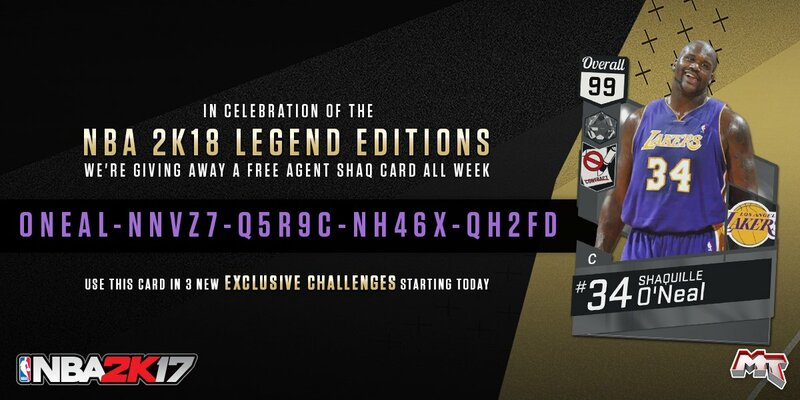 In celebration of the NBA 2K18 Legend Edition, NBA 2K is giving away a Free Agent Shaq card all week with the locker code "ONEAL-NNVZ7-Q5R9C-NH46X-QH2FD" that can be used to unlock the Diamond Shaq. The MyNBA2K reminded players that there is also an activity for the exciting titlie, "To celebrate the NBA2K18 Legend Editions with Shaq, we're throwing it back to the Big Shamrock! TBT Packs are 15% off for the next 24 hours!" 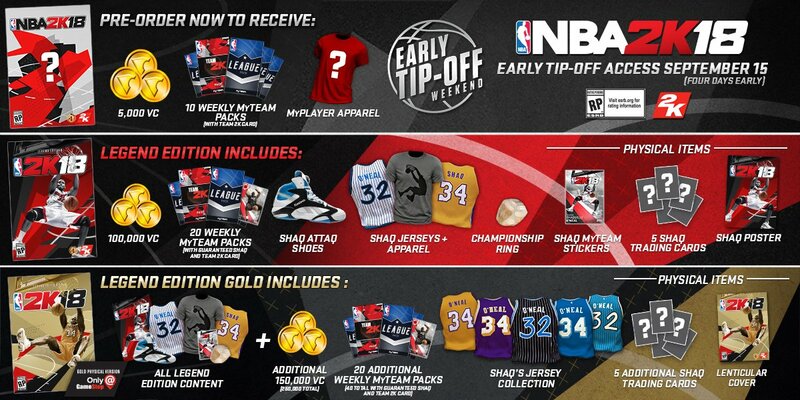 The Standard retail version will provide 5000 start-up VC, 10 weekly MyTeam packs and MyPlayer Apparel for players to start while the Legend Edition will come in two versions, standard (go for $99.99) and gold (retail for $149.99). The standard Legend Edition will give players 100,000 start-up VC, 20 weekly MyTeam packs and an array of O'Neal-related bonuses. The gold edition will offer 250,000 start-up VC, with additional O'Neal-related items being added from the standard version. 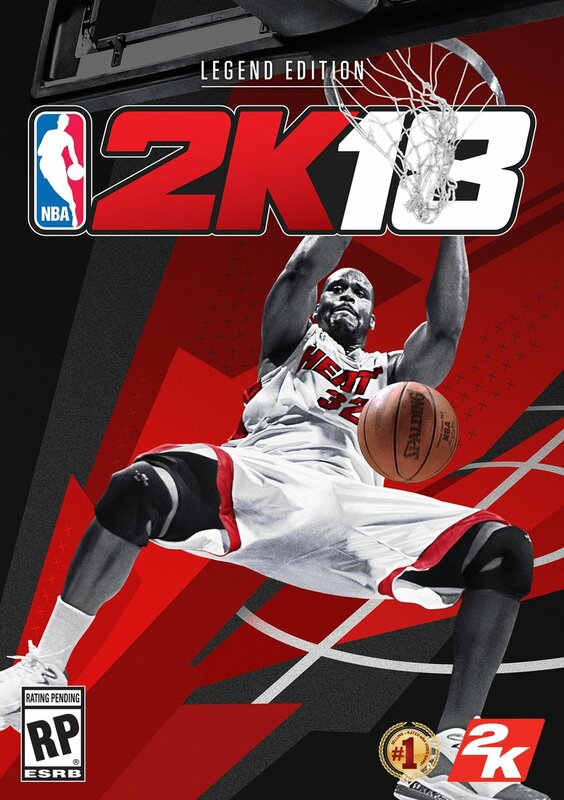 If you want to pre-order these versions, remember that the game will be available on Sept. 15 and you will get the biggest pre-order offering in NBA 2K history.